Putting a new face on the front of the Elite Ink Studio in Centerline, MI. Elite Ink in Centerline, MI. is the place to have custom tattoos designed simply because they are the best! Many enthusiasts looking for the best talent and the ultimate experience of a lifetime frequent their tattoo establishments daily. Their spacious and modern studio is one of the most amazing tattoo studios in the world! Elite Ink features two of their locations in Macomb County. Their main location is in Center Line located at 25543 Vandyke. 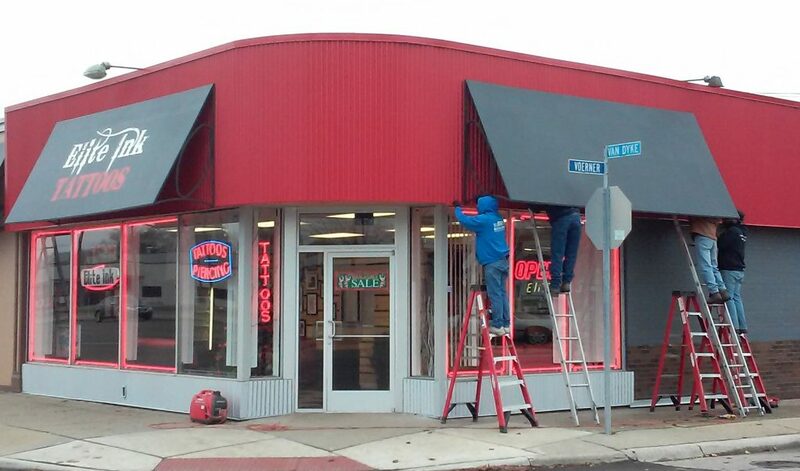 Their second Macomb County location is located on 32750 Mound Rd., Warren, MI..
Macomb County Michigan features several tattoo studios, but only one that has been voted #1 for five consecutive years- Elite Ink! Stop in today to see why their popularity ratings are so high. Their staff offers some of the best tattoos and piercing services in the industry. Countless clients have given above average ratings for these two Macomb County tattoo Studios. Their locations are rapidly growing into a tourist destination and already one of the most popular tattoo establishments in the midwest! Stop in and say hi and ask for a cool shirt! You are guaranteed to be amazed! You can check out some of Elite Inks tattoos on Facebook at Elite Ink Tattoo Company and also on Instagram at Elite Ink Tattoo Studios. Before having a tattoo applied it always best to consult with a professional that is highly repudable. 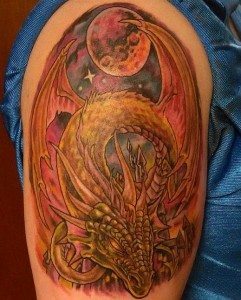 The staff at Elite Ink is just the right solution for your tattoo information needs. Call (586)759-8446 for more information.